Light refraction with convex-concave lens. 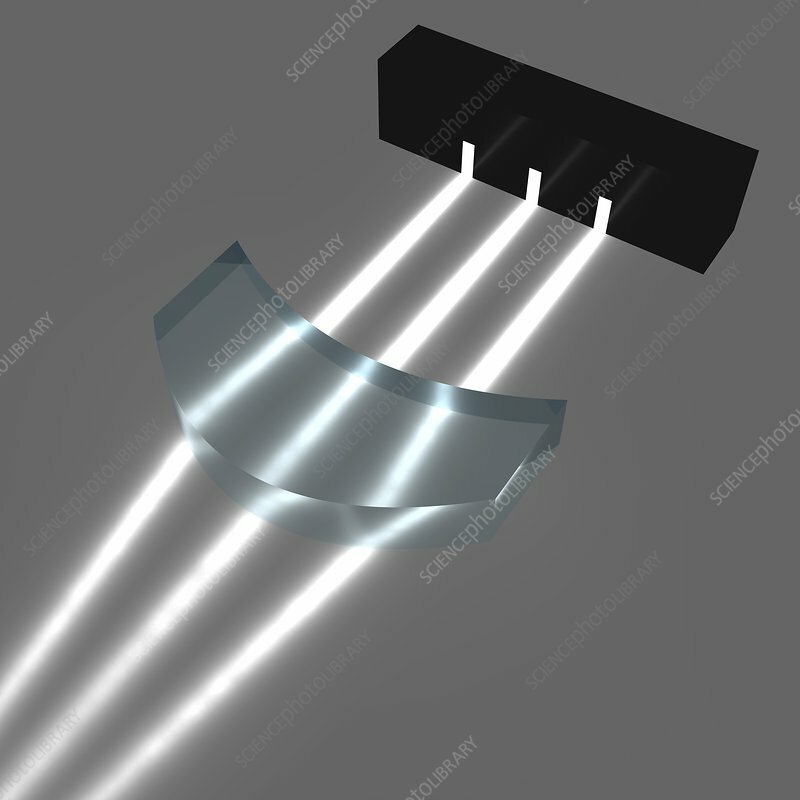 Computer illustration showing beams of light converging as they pass through a convex-concave lens. As light passes through the lens it slows down and is refracted due to the greater density of the lens material. Due to the shape of the lens, the light beams are refracted towards the angle of incidence as they leave the lens, causing them to converge. The more severe the shape, the more the beams converge.